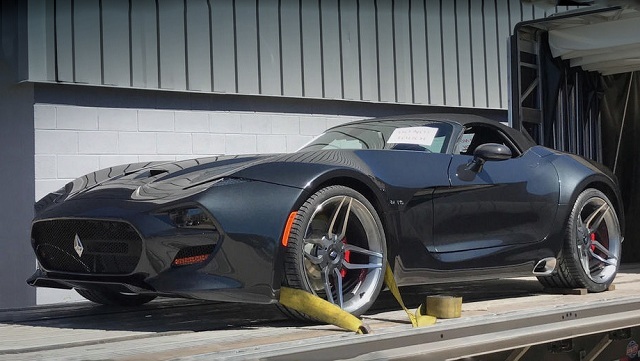 Dodge Viper will be launched under VLF Force 1 name - Drive Dodge - Drive Sport! The supercar’s body is made of carbon fiber material. 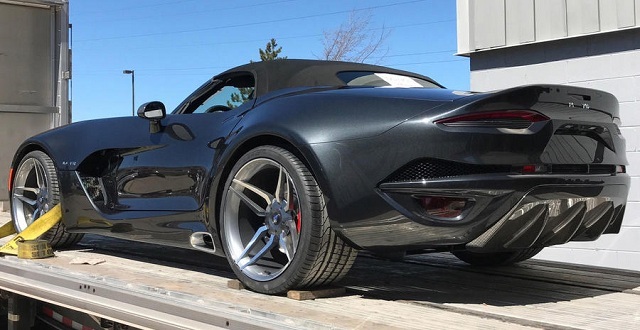 The length of the roadster will be 4545 mm, width – 2018 mm, and the wheelbase – 2512mm. There is no information about the curb weight, all that is know is that the open version will be heavier than the 1538 kg coupe. The front and rear parts will be equipped by double wishbone. In addition, it will be possible to order two mode adaptive shock absorbers instead of passive ones. The novelty will be provided by original forged wheels with front 305/25 R21 and rear 355/25 R21 tires. The brakes are kept from Viper model. The interior will get a leather finishing, sports seats and Internet access. The carmakers improved 8.4-liter V10 motor; as a result, it is able to generate 755-hp and 928 Nm. According to unofficial data, the car will accelerate in 3 seconds. The top speed will make 340 km/h. The available transmission is six-speed automatic or mechanic. VLF Force 1 will make its debut at the April Auto Show in Shanghai.